On this site will soon rise a 3-storey, 6-classroom school building for Calbayog Arts and Design School of Eastern Visayas (CADSEV). 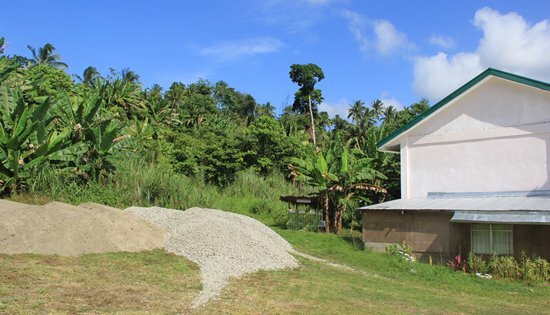 CALBAYOG CITY – The Department of Public Works and Highways Samar First District Engineering Office will soon construct a three (3) storey, six (6) classroom school building for Calbayog Arts and Design School of Eastern Visayas (CADSEV) located at Brgy. Gadgaran, Calbayog City. The project, amounting to P18 million, is funded under the 2018 Basic Educational Facilities Fund – Batch 3 for the construction of classrooms under the DepEd Calbayog City Division. CADSEV is the only Regional Senior High School in the entire Eastern Visayas offering arts and design track. The students come from all over the Samar and Leyte, even from the capital city of Manila. The school currently has an existing 2-storey, 8-clasroom building holding about 100 students. The current school population and the expected influx of enrollees in the incoming school year cannot be accommodated due to the limited capacity of the existing classrooms. With this new addition, CADSEV will be able to take on more artistically-inclined students who want to be exposed to various forms of arts such as visual arts, media arts, performing arts and literary arts, to improve their knowledge, innate skills in arts and design.